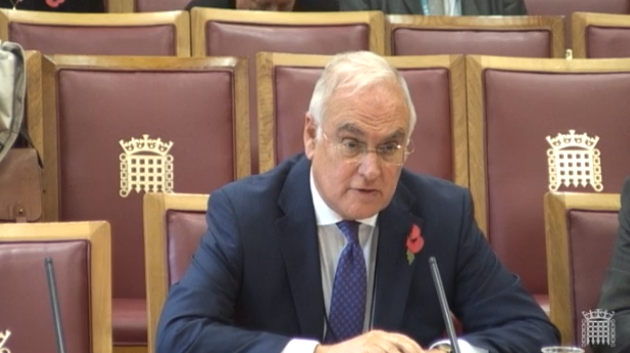 Ofsted chief inspector Sir Michael Wilshaw today launches the 2014/15 annual report armed with the results of nearly 180 FE and skills inspections. The education watchdog’s preview commentary on today’s launch contained little for FE and skills, focusing largely on school matters, but a spokesperson told FE Week that one of the issues Sir Michael would reflect on was devolution. Sir Michael would, the spokesperson added, say in the report that if cities like Manchester, Leeds and Sheffield were to be the engine rooms of a “northern powerhouse”, they need to work harder at closing “skills gaps”. However, he will be able to draw conclusions on the sector from 177 inspections of FE and skills providers last academic year. Included in this were 48 inspections of general FE colleges between September 1 to August 31 (for 2014/15) — which resulted in two ‘outstanding’, 15 ‘good’, 26 ‘requires improvement’ and five ‘inadequate’ ratings’. That overall number was down from 81 in 2013/14 — when there were five ‘outstanding’, 45 ‘good’, 27 ‘requires improvement’ and four ‘inadequate’ report ratings. The results for 2013/14 saw Sir Michael renew his questioning of the college sector’s record on employer engagement. There were 114 inspections of independent learning providers (ILPs) last academic year — with four ‘outstanding’ results, 53 ‘good’, 45 ‘requires improvement’ and 12 ‘inadequate’. It compared to 140 inspections in 2013/14 — with four ‘outstanding’, 83 ‘good’, 42 ‘requires improvement’ and 11 ‘inadequate’ ratings. Meanwhile, of 15 inspections of sixth form colleges (SFCs) in 2014/15, there were no ‘outstanding’, seven ‘good’, five ‘requires improvement’ and three ‘inadequate’ report ratings. It compares to 31 inspections in 2013/14 of SFCs — resulting in two ‘outstanding’, 19 ‘good’, nine ‘requires improvement’, and one ‘inadequate’ rating. Stewart Segal, Association for Employment and Learning Providers’ (AELP) chief executive, called for changes to how the annual and individual Ofsted reports measure success. “Ofsted tends to focus on data and technical measures such as completion and timely completion as its way of judging success,” he said. “But AELP always proposed a basket of measures which gives much more emphasis to outcomes for learners, impact on business and satisfaction levels of apprentices. He said this was needed for inspections of ILPs as “work-based training is more complex than measuring classroom-based courses” and “too often [current] measures like completion rates are misunderstood”. Andrew Harden, national head of FE for the University and College Union (UCU), said: “The conclusions of the [annual] Ofsted report should not be divorced from the challenging context within which the sector finds itself. “The FE sector has faced several years of upheaval, with massive budget cuts and a raft of government initiatives including apprenticeship trailblazers and 16-19 qualification reform. Follow @FEWeek for live coverage of the Ofsted annual report launch from 10am at One Great George Street, Westminster.